New Patch Release: Awesomenauts 2.6 Reloaded! 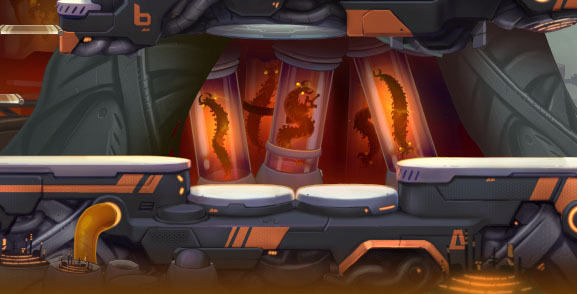 Awesomenauts patch 2.6 Reloaded has been released! This patch brings with it a whole list of new features, goodies and balance tweaks. Check the official forums for the full record-breaking massive patch notes list. For a list of all the major changes, read on! The biggest change is the total revamp on how our loadout system works. You no longer pick a loadout before a match starts. Instead, the shop has opened up to allow you to pick an choose items depending on who your opponents are and how the match is progressing. You’re still only limited to three upgrades per row, but you are now able to freely adapt during gameplay! Another big change is the introduction of the new AI Station 205 map! This map will replace the old 404 Station in the online rotation and features two lanes and a large fire hazard in the middle! Station 404 will still be playable in Custom Matches and Practice. 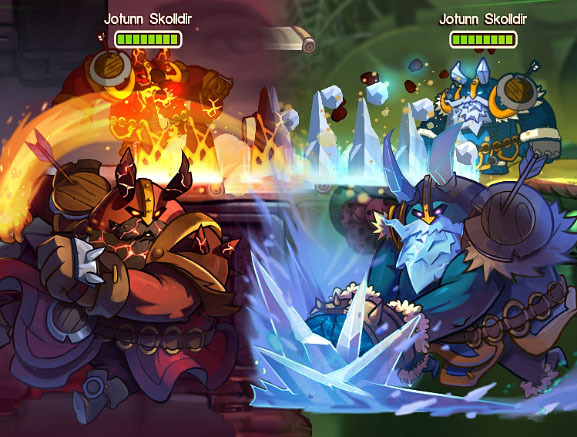 Jotunn Skolldir premieres as a new type of skin. Depending on what team he plays, his looks change from Fire (Red Team) to Ice (Blue Team) changing all of his special attacks and sound effects along with him! 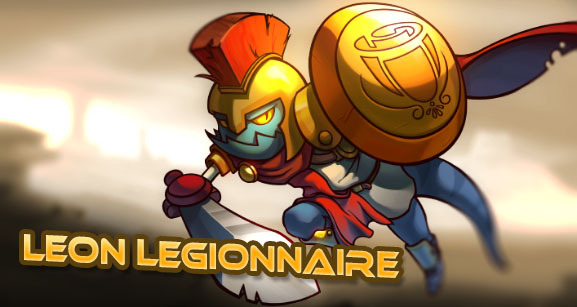 The third skin belongs to Leon who dons his best centurion outfit as Leon Legionnaire! Playing with or against bots just got a whole lot more interesting! Patch 2.6 sees the introduction of nine new AI enemies or allies: Ayla, Coco Nebulon, Genji, Gnaw, Raelynn, Skree, Swiggins, Ted McPain and Vinnie & Spike. Four of the existing bots received an update making them even more lethally efficient: Clunk, Froggy, Leon and Lonestar! The new profile screen is your go-to place for all ‘nauts related stats! Be it killing sprees, winning streaks or Kill/Death ratios. Everything you’d like to know about your playstyle can be found here. The Leaderboards have also been moved to the profile screen. Replays now feature all kinds of graphs: damage done, current solar, total solar and much more! These graphs can be toggled per team or per player. The Replay camera also got a tweak and now features an improved Auto-Cam which follows the action letting you sit back and relax with your favorite snacks while enjoying the action. Feeling creative? The AI Editor got a nice upgrade that allows you to spawn custom AI’s. 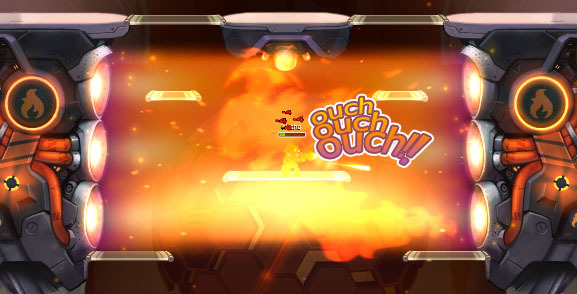 Some of the possibilities that this allows is creating waves of enemies changing a custom match of Awesomenauts into a full fledged survival mode! You can review all these points in The Vault where we tease and reveal upcoming patch features a few weeks before release, so always keep an eye on it. See you on AI 205. Bring marshmallows!